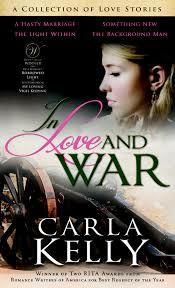 This is the first book I’ve read in the Valentine Valley series, but it is actually #4 in sequence. 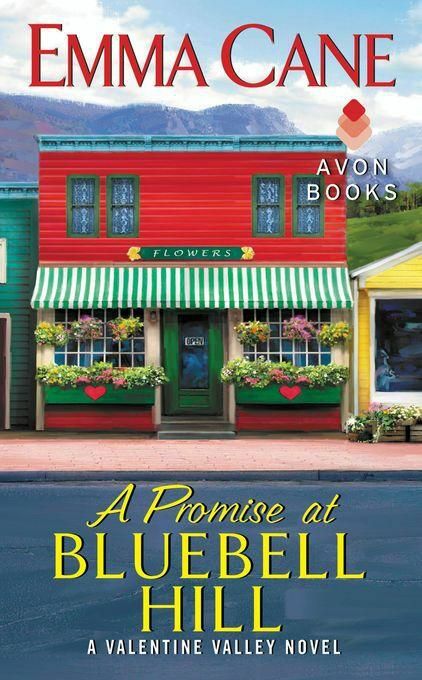 A Promise at Bluebell Hill can be read as a standalone, but ultimately I think readers will enjoy getting to know the back story behind this small town group of activists, shop owners and close friends. The small town setting. Valentine Valley, Colorado has a homey feel. Its a timeless community where everyone knows each other. The loyalty between the characters and the depth of relationships between family and friends. This is a feel good about women book. That the two main characters were willing to settle down and commit to one another, putting high push careers and political differences aside. They recognized the importance of marriage and family. The scenic backdrop of bluebell fields and mountains. It’s a romantic place we would all want to visit. The exploration and resolution of marital problems between Monica’s parents. There is a good plot arc as we see empty nesters work out how to enjoy each other without being directly involved in each others hobbies. The trade market price. A paperback for $5. The heavy and descriptive romance scenes. I admit, I typically do not read adult romance unless it leaves details to the imagination. This one was a little too fast moving and TMI for me. It’s definitely an adult romance, not for children or teens. The push at political agenda and correctness. It felt forced to have an activist group against big development and preservation of fossils, flag burning protests, a female President of the US all rolled into one small town novel. Overall, for me as a reader, the good outweighed the bad and I would read the rest of the series. But it would mean skipping right over the pages with detailed love scenes. I prefer a clean read with tension instead of having it all spelled out. I loved the writing and the well developed characters and I am glad to have found out such a place as Valentine Valley really exists! You can learn more on the author’s site. Thanks so much to HarperCollins for a fun Valentine’s read! Emma Cane was born in Erie, a small Pennsylvania town on beautiful Lake Erie, where the sunsets are some of the best in the world. Though Emma enjoyed figure skating and skiing (good sports in the northeast), she brought a book everywhere she went, usually science fiction and fantasy. Yes, Emma was a Trekkie. Early in her teen years, she decided maybe she could be a writer, and wrote passionate stories of teenagers in space, first by hand until her fingers cramped, and then on her dad’s manual typewriter, which she still can’t bear to give away. 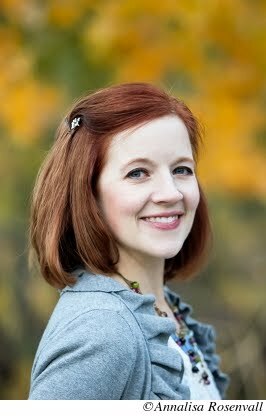 In high school she discovered historical romances, starting with Kathleen Woodiwiss’s Shanna, and Emma never looked back. The first romance she ever tried to write was a historical Western, but now she’s changed to the 21st century, where cowboys can ride pickup trucks as well as horses. 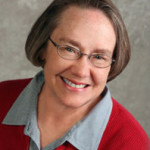 Emma fell in love with small-town, heartwarming stories, and created the fictional town Valentine Valley, a small ranching community in the Colorado Rockies, where she sets her novels. A Town Called Valentine was the first in her new series. A Promise at Bluebell Hill is the fourth book, and there’ve also been two novellas. Emma always wanted a career. She determined she wouldn’t be good at the family business, funeral directing, mainly because a funeral director is a social creature, out in society, joining lots of committees and being involved in the community. She likes to pick and choose her committees (she’s served in almost every capacity in her local writers’ group) She especially enjoys being at home in the evenings, her face buried in a book. When she went to college, Emma figured it might be difficult to earn a living writing, so she tried many different jobs. After majoring in aerospace engineering and taking all her electives in English, she realized writing was her future. While she learned her craft and raised her children, she worked several jobs, from fitness training to programming computer-controlled machines. 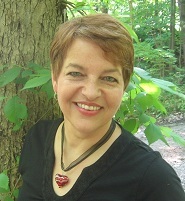 She joined her local chapter of Romance Writers of America, found her best friends, and with their help, sold her manuscript to Avon Books. At last, writing has become her full-time career. 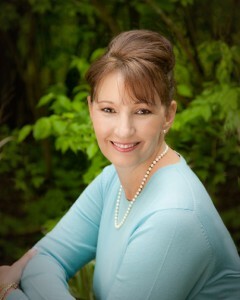 Emma also writes as USA Today Bestselling historical romance author Gayle Callen. 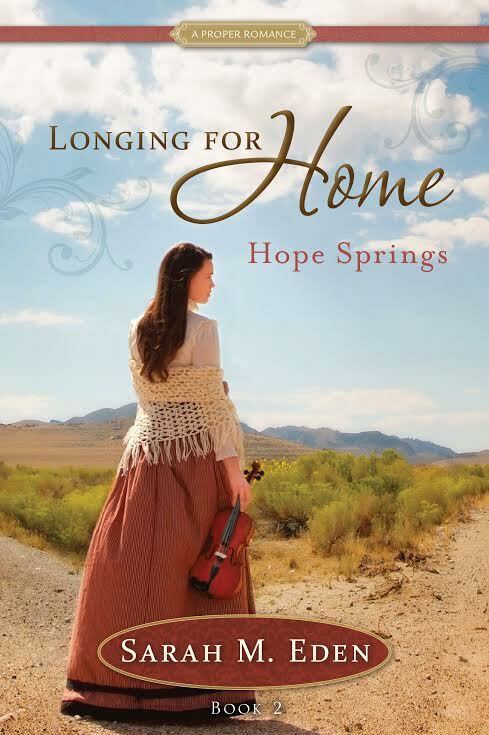 Fire and Ice is thrilled to be a part of the offiicial Deseret Book Blog Tour for Longing For Home volume 2~ Hope Springs by Sarah M Eden. I’ve read all of Sarah’s books and I think this one is by far her best yet! It was born of sacrifice and hard work on her part and those characteristics become so much more real in her main character. Katie MacCauley has made a decision to join her fellow Irishmen on the Irish Road in her small town of Hope Springs, Wyoming. The town is divided by prejudice and hatred, the Irish “Paddys” targeted as foreigners in a harsh land. The Red Road will do anything to get Katie out of their sight, out of their stores and our of her employment as a housekeeper for Joseph Archer. Tensions are heating up and there are those convinced that blood will be spilled before the division can be settled. As a descendant of Irish who came to America, I learned a great deal about the hardships they faced, the desires they had to maintain their heritage and the work ethic the Irish modeled in putting down roots. I especially enjoyed reading about colcannon, one of my favorite Irish dishes, and hearing some of the Gaelic words written into conversation. Sarah demonstrates through tradition, family relationships, loyalty and love, just how tightly woven the Irish settlements were. She shows the character’s weaknesses of short tempers, raw emotions and pride, as well as their ability to laugh and press forward with tenacity and courage in the midst of adversity. I cried several times. I felt the feelings of these people and grew to love them as my own. Hope Springs is a tale of one woman’s vow to turn her tragic past into triumph and to make a difference in her community. It is also a beautiful story of how love can heal all wounds and a heart has the power to choose its path. I highly recommend this series as a prime pick for well researched, beautifully written historical fiction and clean romance. Sarah M. Eden’s writing pulled at my heart! Just as the scriptures teach us that the Second Coming of the Lord will be "at midnight" (Matthew 25:6), so the signs of the times teach us that "midnight" is close at hand. In Living in the Eleventh Hour, author Robert L. Millet points our minds and hearts toward the future-to the glorious day that lies ahead. This encouraging work not only assists us a Latter-day Saints to recognize and better understand the signs of the times but also reminds us of our individual responsibilities as we prepare ourselves and the world for the much-anticipated return of Jesus Christ. Filled with uplifting quotations from Church leaders, insightful scriptural texts, and engaging personal experiences, this timely book inspires us to live today as if He were coming tomorrow. Brother Millet's faith-building message is clear: Steadfastly doing the small things that allow us to live each day with faith, rather than fear, builds our trust that the Savior's return to earth to rule and reign will be a glorious and welcome event. I love Robert L Millet’s teachings and writing. 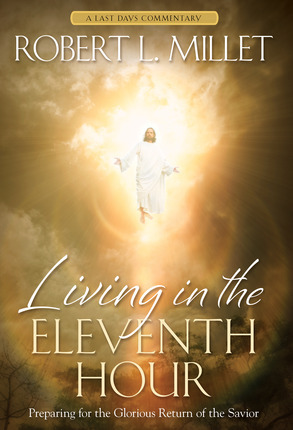 Living in the Eleventh Hour takes very small chunks of doctrine in each chapter which makes for a quick, light read. It’s certainly not a deep doctrinal look at the signs and time of the second coming of Christ, not does it reveal “big new truths.” However, I enjoyed it for exactly what it was. His counsel is straight forward and simple. I found that for me, this book was the perfect fit. It offers a hopeful perspective without the doom and gloom or long lists of signs of the second coming. Brother Millet re- emphasizes what we can do on a daily basis to have the Spirit with us and to keep our lamps filled with oil before the bridegroom cometh. I especially liked his story of how many of us, in fear of judging others fall into the “tolerance trap” and begin to tolerate the behaviors of others that are sinful without speaking up. The formula for preparation is built on the basic primary answers we all know and I am glad he kept it that way. We cannot, at least not for very long, operate simply by sheer grit and willpower; to do so proves to be both spiritually exhausting and emotionally discouraging. We need help. That help comes from God and is mediated through his Holy Spirit. Robert L. Millet, an Abraham O. Smoot Professor and former dean of Religious Education at Brigham Young University, is a professor of ancient scripture and a lifelong scholar of the last days. After receiving bachelor’s and master’s degrees from BYU in psychology, he earned a PhD from Florida State University in religious studies. He has served in The Church of Jesus Christ of Latter-day Saints as a seminary teacher, bishop, stake president, and member of the Materials Evaluation Committee. He and his wife, Shauna, are the parents of six children. After a year of secrets and scandal, will this Amish community finally find peace under the bright promise of Christmas? 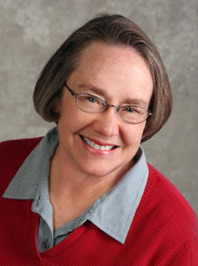 Beth Byler has a secret. Ever since she met Englischer Chris Ellis while helping out at the Yellow Bird Inn, she can't stop thinking about him. She knows a relationship could never go anywhere—Chris was working undercover in Crittenden County as a DEA agent. That meant he faced danger daily and carried a gun, making him completely unsuitable for an Amish woman like herself. But she knew he felt the attraction, too. It was the reason he left so suddenly, promising never to see her again. I’ve really been loving both Amish fiction and Christmas fiction this year, so I was super excited when I received Peace in the mail for review. Beth Byler is working for Christmas, holding down the fort at the bed and breakfast owned by her friend Frannie. 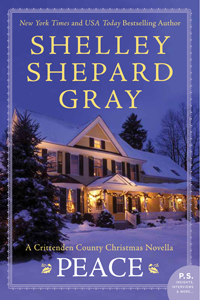 She’s not expecting any guests until a knock at the door reveals Chris, a DEA agent and Englischer who has been badly wounded. He’s seeking refuge from a job gone bad. In need of stitches, without a place to stay, Beth decides she must take him in– but her heart is in more danger than she imagined. Chris is looking for some peace and a chance to heal. But he has walls up that must be kept there to protect himself and Beth. He hasn’t seen his family in years for fear they will be ashamed of what he must become when he goes undercover, and for fear they will pay consequences if he is followed. But his time at the Yellow Bird with Beth may be just what he needs to sooth his soul. This is a cozy novel that helps you believe in destiny, and the need to forgive. There is a definite romance element but the author keeps it clean, which I truly appreciate . It moves along slowly enough to fit the genre and characters perfectly. The pacing is good, but I wasn’t a fan of moving between two different story lines. Alongside the main plot, is a subplot of another Amish family in the community trying to muddle their way through a murder and the imprisonment of the perpetrator. Lots of guilt and bitterness to be worked through. I had a hard time connecting with it, as I wanted to know just how the victim, Perry, lost his life and what role each person played. There were details left undone that left me a bit confused. The motivation for murder, the reasons behind it and how it played out were all left sketched, but not filled in. Maybe a follow up novella, or deleted scene with flashback would be a great solution for me on the unanswered questions. Overall, this is the best Amish fiction I’ve read yet and I would recommend it to adults looking for a light seasonal romance. I’m happy to have found the Avon Inspire imprint and new author to follow!